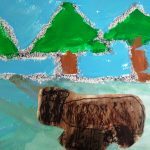 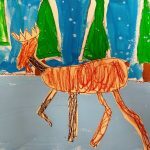 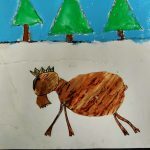 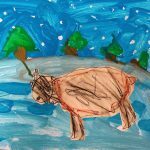 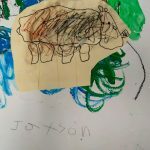 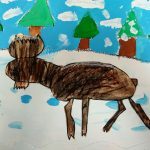 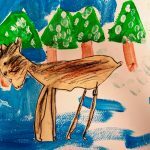 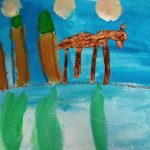 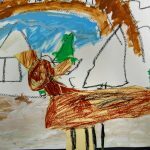 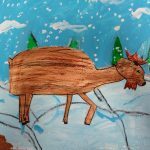 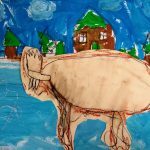 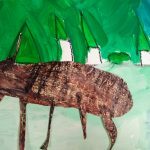 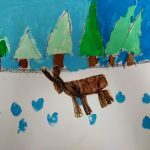 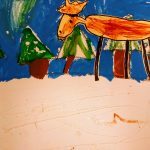 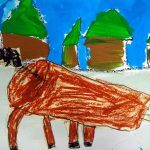 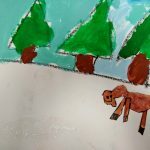 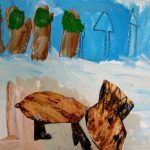 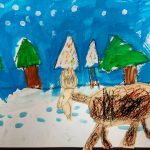 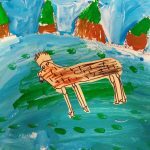 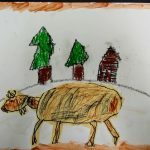 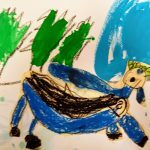 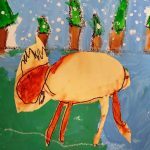 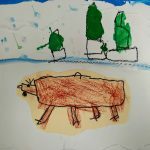 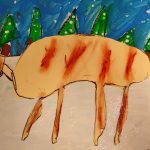 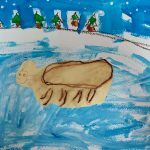 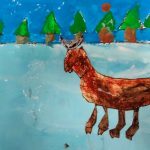 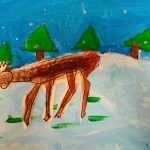 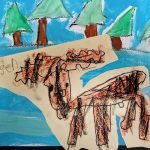 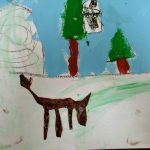 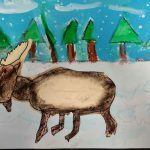 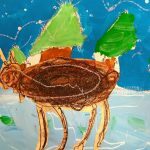 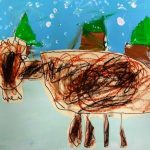 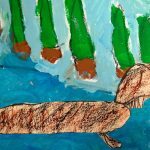 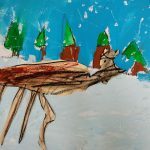 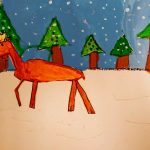 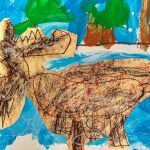 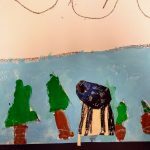 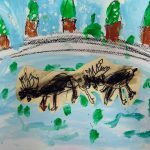 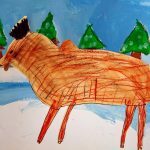 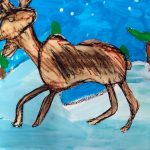 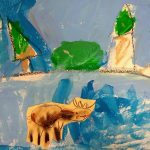 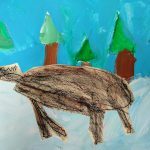 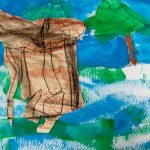 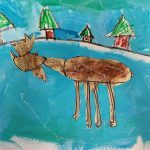 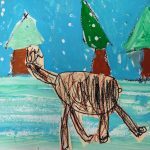 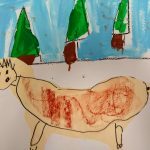 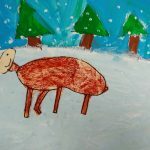 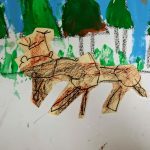 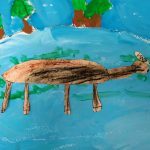 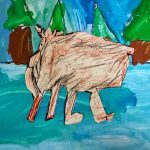 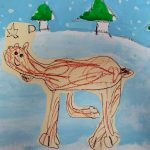 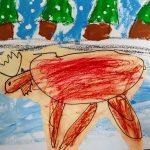 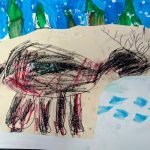 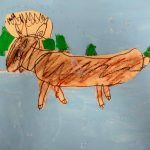 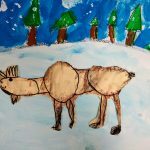 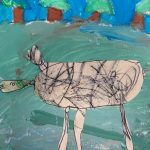 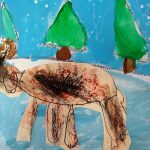 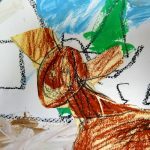 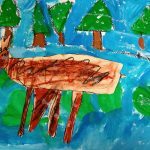 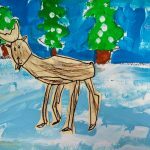 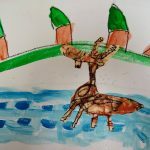 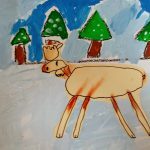 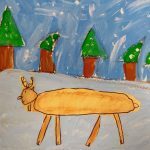 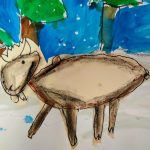 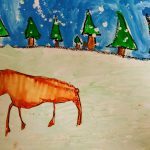 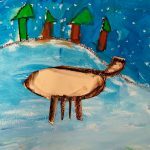 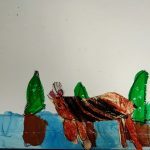 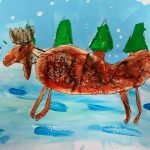 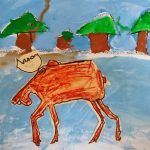 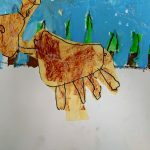 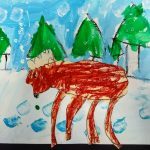 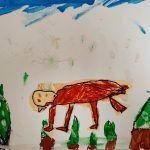 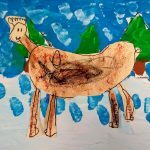 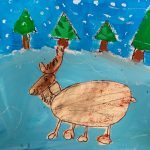 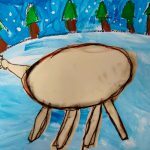 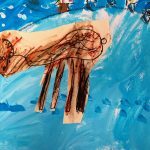 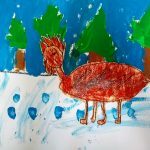 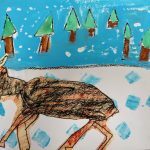 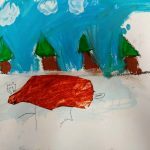 Inspired by the book Ernest, The Moose who Doesn’t Fit, first graders made their own renditions of a moose in winter. 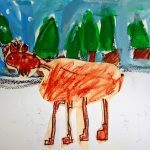 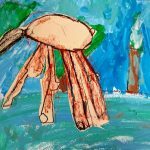 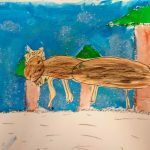 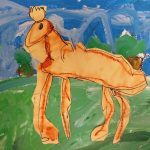 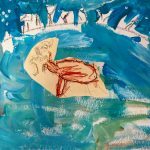 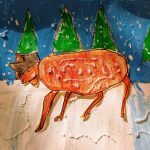 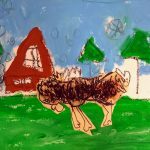 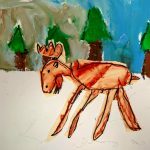 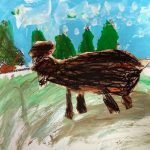 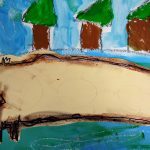 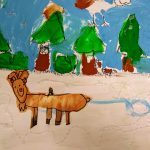 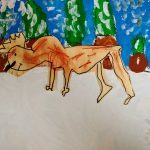 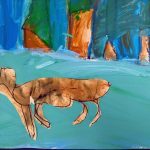 They painted the background first, and then made a moose using a fun new technique by smudging oil pastels. 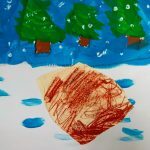 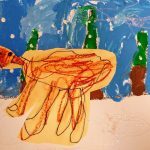 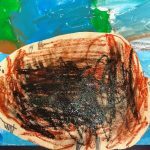 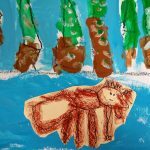 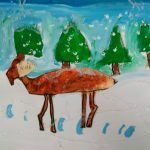 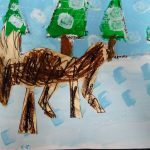 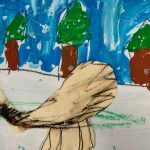 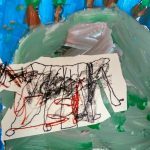 The snowflakes were made with the ‘wrong’ end of a paintbrush – lots of exploration was had with this project!